Your mission is to buy a new vehicle and NowCar wants you to have a better buying experience than the traditional dealership experience. Here’s how you can buy a car online with NowCar. In the comfort of your home, you can research, browse and compare almost any type of vehicle you want. If you decide that one of dozens of vehicles is one that you want, you can actually buy a car online with NowCar, too. Here's the best part… you will save thousands with NowCar in comparison to brick-and-mortar dealerships and never step foot in a dealership. 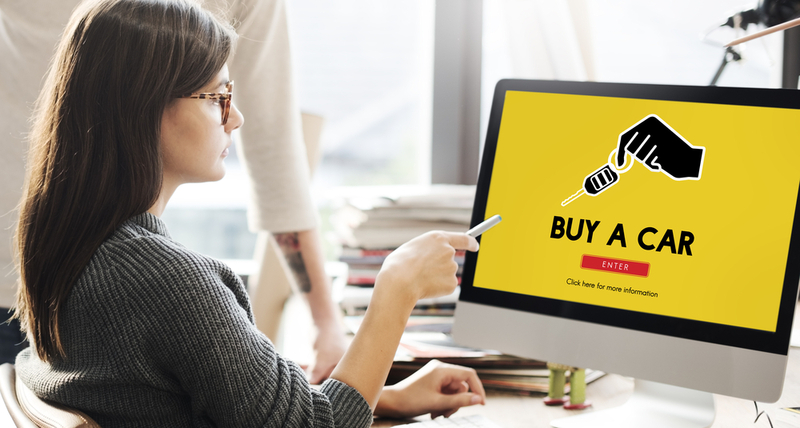 Whether you want to search by your must-have-features, by make and model, or by total or monthly budget, you can spend as much time as you like when you buy a car online. NowCar’s research data includes 360 degree photos, videos, a clear breakdown of all of a car’s specs and available add-ons. As you search, you can save your favorite cars so you don’t forget about the cars you really like. To ensure you don’t spend hours searching for a price that might be more than expected due to your credit, NowCar customers can estimate their credit score from the very beginning. Or, if you prefer, you can complete a secure credit application to be able to see your real payment amounts and financing option. Unlike sites that assume everyone has perfect credit to show them the best prices, we don't play those games. You don’t have to be at a dealership to get all of the rebates either. NowCar has created the industry's first "Rebate Questionnaire". Until now, you had to know which vehicle you wanted so that "research sites" could show you all the available incentives. Just fill out our simple Rebate Questionnaire and we'll show you the rebates you can actually use including military, conquest, loyalty, college graduate rebates, bonus cash, regional incentives, and more. So once you have found something you want and at the price that works for you. You can actually buy a car online and then it will be delivered to you. Yep, that’s right, NowCar can sell you the vehicle you built at the price we have provided you with, and then deliver that vehicle to you for free! To complete the purchase of your new car, all you need to do is, supply NowCar with the usual information required by manufacturers and a fully refundable deposit. After that, the rest of the process is handled with one of our Associates, who will walk you through the process, step-by-step. That’s it. Simple. Easy. At Home. Any questions? View our About page and our FAQs page for detailed information about any step in the process. It might not be traditional, but trust us, once you buy a car online, you will never go back to a dealership again. Sayonara pushy salespeople and hours spent in a cold dealership!